Steve: It just feels odd doing something for a second time. A long time ago Bing Crosby and Bob Hope had a successful series of comedy films, such as Road to Morroco, where they would travel somewhere and basically have fun with each other in various locals. 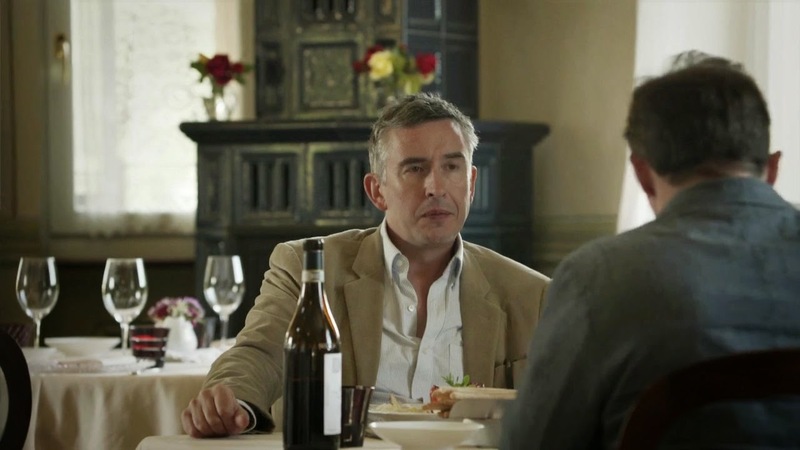 After finding a lot to enjoy in The Trip and now having seen The Trip to Italy, if Steve Coogan and Rob Brydon want to continue making films where they play exaggerated versions of themselves, while traveling to different countries to eat amazing looking dishes, humorously argue with each other, and do hilarious impressions, then I would be all for it. The Trip to Italy not only continues to give these two the opportunity to have a lot of fun together, it also plays even better than the first entry, with plenty of laughs to be had during this European vacation. The idea of the film is pretty simple. In the world that this film exists in, Rob Brydon and Steve Coogan were previously hired by a newspaper to tour around northern England, visiting various restaurants. 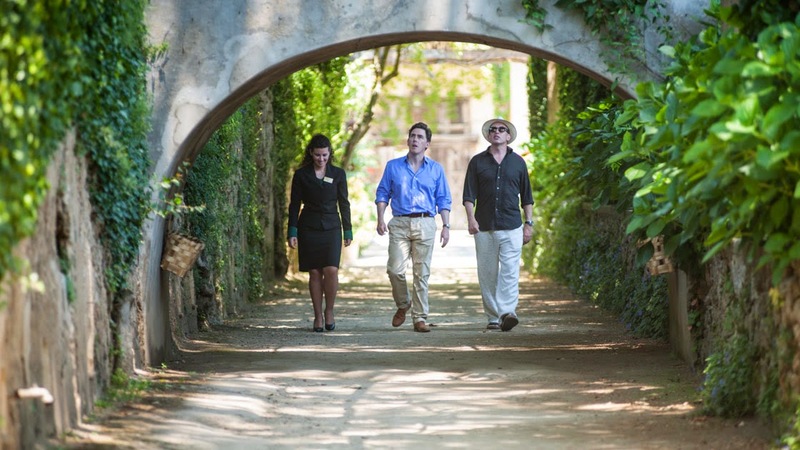 For this sequel, the two were hired once again and commissioned to do a restaurant tour in Italy this time around. There are some subplots involving Steve and Rob’s personal lives, but the film has plenty of fun just letting these two interact with each other, while exploring Italy together. Director Michael Winterbottom has once again edited a 6 episode BBC series into one feature film, and it somehow works as a coherent piece of work that is plenty enjoyable. 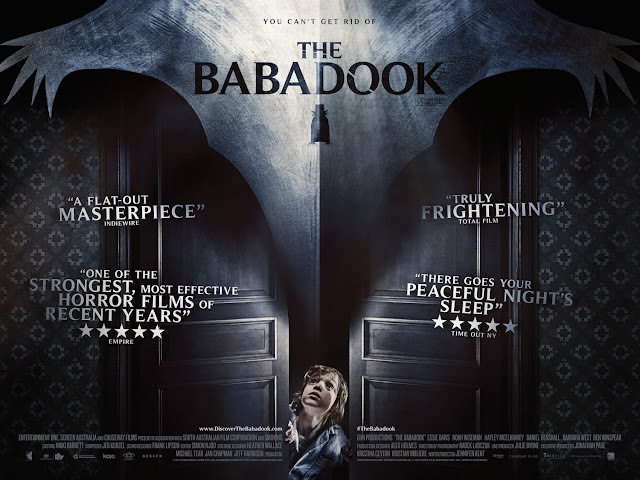 While The Trip had some easy highlights, such as the dueling Michael Caine impressions (which return with a vengeance in this film), the biggest criticism could be how slack it felt in certain areas. Whatever Winterbottom did to prepare for The Trip to Italy’s editing for a feature film, it certainly paid off, as the film is faster, funnier, and all around better assembled. 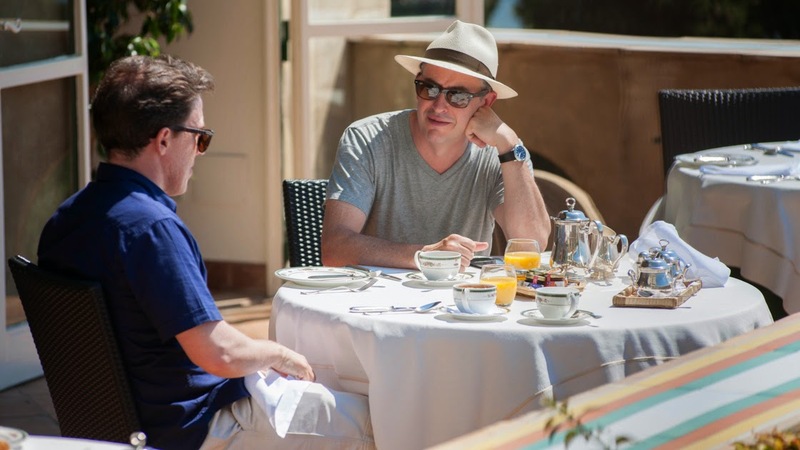 While Coogan and Brydon were a bit more hostile in the first film (more Coogan than Brydon), this time around they feel more like old friends who just like to one-up each other, given the chance. 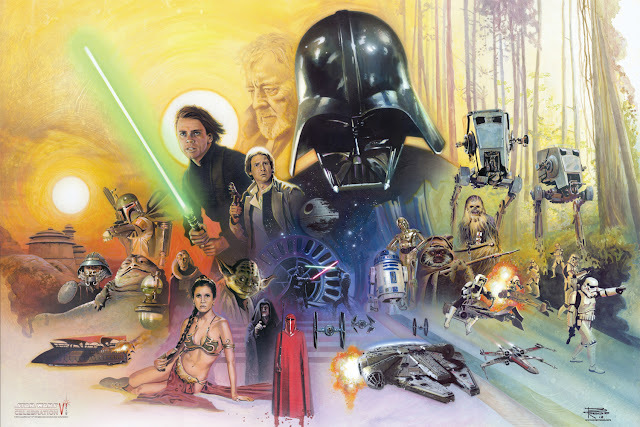 It makes for a more relaxed chemistry that allows the film to play more smoothly overall. 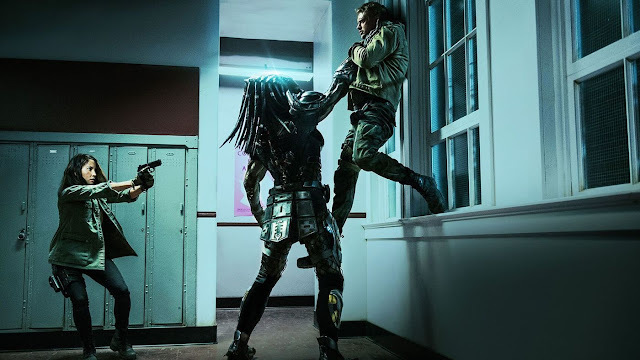 Really, there are plenty of reasons this film plays more smoothly, but suffice it to say that the behind the scenes work really goes all out to make this film feel like a really fun trip. 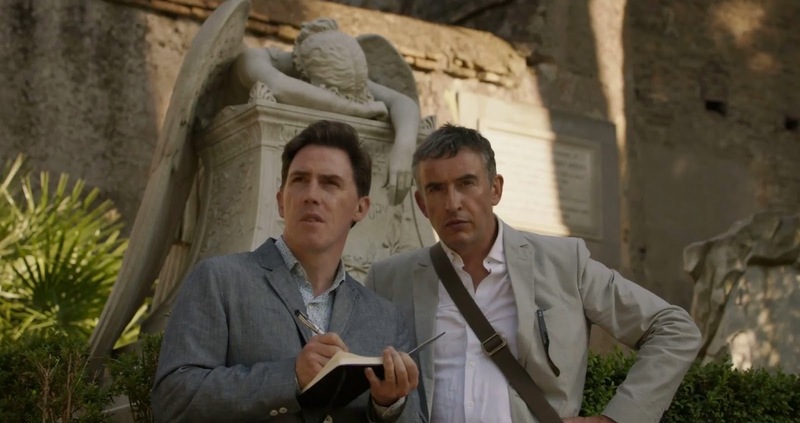 It feels easy to move in and out of why this film works for reasons that are in front of and behind the camera, but it really does come down to the relationship established between Coogan and Brydon. Various subplots aside, the way these two associate with each other makes these films so much fun. As we watch them visit restaurants and eat delicious meals, all they do is have conversations that stem from topics ranging from where they are in their lives and careers to what to say about certain actors via impressions that are hilarious to watch and listen to. 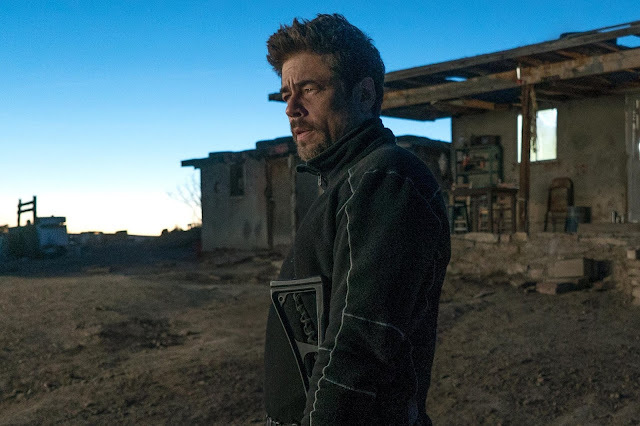 The humor in this film is clearly key to enjoying the film and while it moves in and out of certain areas like dry wit, biting remarks, and even some broader moments, it goes out of its way to at least keep an audience smiling. 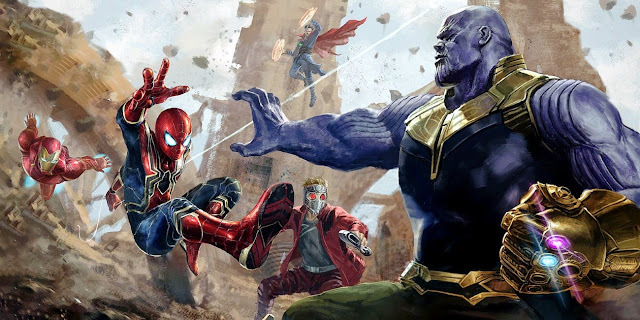 To talk of this film as a sequel, knowing that it is one makes little difference, as it is not as if much continuity was built in the first film. These Trip movies really do play more like two guys who got together and just started talking to one another, rather than films that have clear arcs that will carry over from film to film. Sure, there is a benefit from seeing The Trip and fully grasping the nature of some of the jokes, but I think it is easy to watch this film and understand where the humor comes from. Even in the case of references made to elements that may be more British than others, I still believe there is plenty that is easy enough to comprehend to keep anyone from feeling like too much of a fish out of water, as opposed to how these two react to being in Italy. That’s the other thing; while the film is a pretty simple comedy, edited down from a TV show no less, the film looks beautiful. The way it shows off various cities of Italy, without feeling like it is placing a ton of emphasis on what landmarks are in the background is a nice touch. We do get to see the inner workings of some of the dishes prepared for these men, while they visit these restaurants and have conversations, but it hardly feels like a distraction and more like what should be expected at this point. Between this film and Chef, there is plenty to enjoy in the scenes involving food preparation, but that does feel more or less like a nice bonus in a film already filled with entertaining aspects. 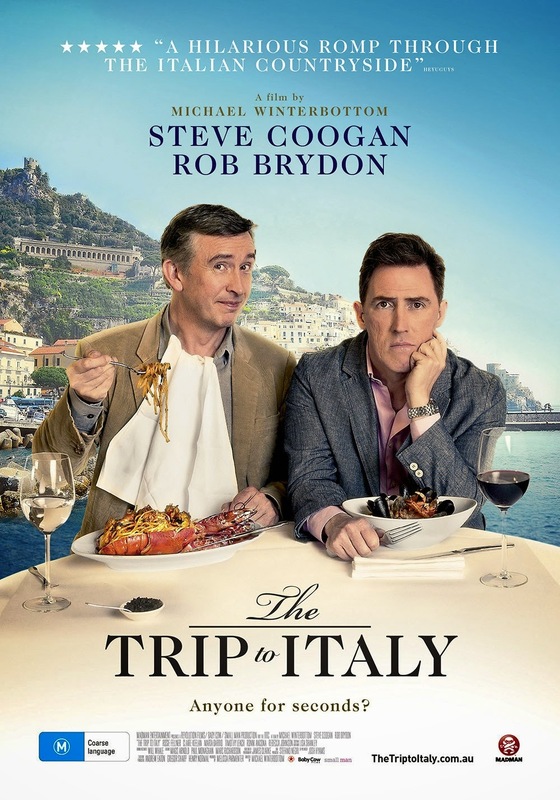 Whether it is The Trip to Spain or The Trip to Mongolia, I am ready to see more of these films, if it continues to feature Coogan and Brydon doing their best to make me laugh, with Winterbottom behind the camera. While the film has a heart at its core and some interesting dramatic beats as well, The Trip to Italy plays well with what the first set up to make it an even more satisfying experience, with plenty of good laughs and continuous entertainment. I may never get to have the same meals that these guys had, but I was very happy to receive so much good comedy. Steve: [as Michael Caine] I’m not gonna bury another Batman.